We've only had a couple of sign ups so far for the first meet on 14/15 March so I'm going to have to cancel it if more people don't want to come - which would be a damn shame given that we have a lovely new pontoon to play with - so if you can make it, please do come along. I'm hoping its more of a technology thing with NING than a cold water thing - but I'll keep hassling people and I'm sure we'll get enough! Keep at it Sam....fingers crossed! My 5mm elios is looking very sad and lonely... she misses the lake! Don't worry Chris, there will be more people.  We just need to get back into the habit of checking the Ning group and Deeperblue forum. Hopefully having the dates of the 2009 meets in advance will help. I'm looking forward to be back in the lake! Should we bring a bottle of something to christianise the pontoon like they do with boats? Ben, i'm sure you could get back into the country even if it has expired us brits let anyone in!! Great idea on the christening!! Babysham all round! the more the merrier - just sign up! yeh !! Come on J.... I won't be the most northerly salt free-er then !! Who would want to miss the first dive on the new pontoon.... thanks for all the work Sam and Dave! Thanks for a great weekend - and sorry for freezing you Snoopy and Brian!! see you all soon . and kattie will you put a few speeding points on your drivers licence for me as i think i may of accumulated a few getting your wetsuit to you . Jay, are you driving a car or a rocket? I still can't beleive how fast you were... Thanks!